Sprint has just announced its collaboration with LG Electronics USA to deliver the first 5G smartphone in the United States. The timeline is the first half of 2019, with the phone's specifications and exact release date to be announced later. 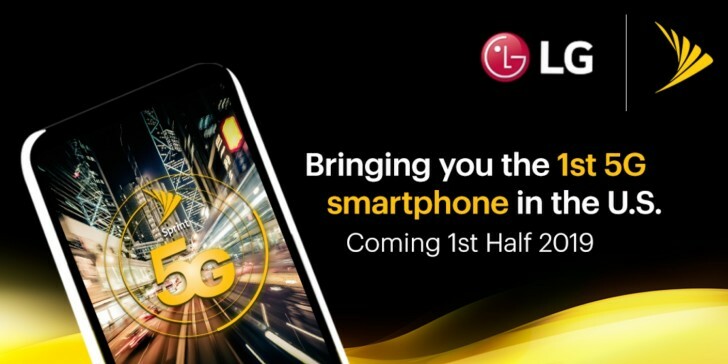 The partnership reveals not only the plans for Sprint but also the dedication LG is putting into announcing a flagship device with a 5G modem in the early months of 2019. A Snapdragon chipset will power the new phone since Qualcomm already unveiled its X50 modem with 5 Gbps speeds, later followed by the actual 5G antennas that will work with the mmWave signal. Introducing a 5G smartphone might be one thing, but you also need the network to use it. Back at the beginning of 2018 Sprint announced six major US cities will be ready for the 5G wave that is about to hit us next year.